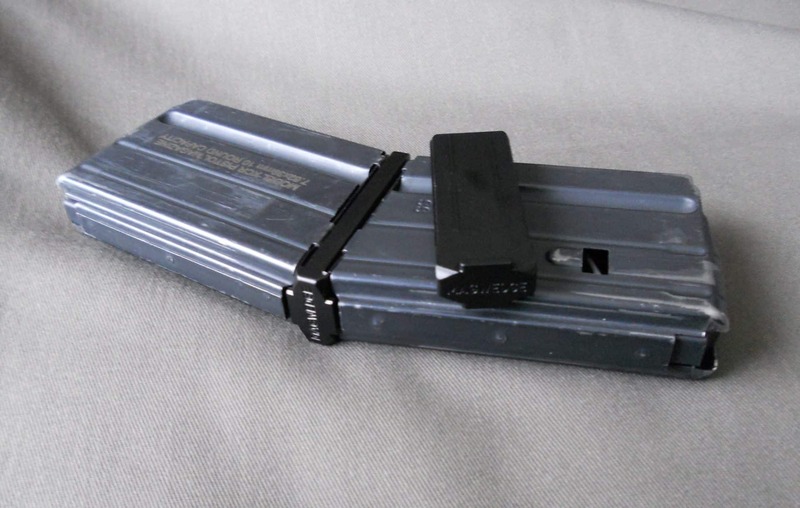 MagWedge AR15 Coupler, Type 2A – Joins two 10 round LAR15 or XCR mags together to give you a shape similar to an extended stick magazine; high quality aluminum with black finish. Mags oriented to face in the same direction and at a slight angle but will otherwise do the same job that the type 2 couplers will do. Best used on LAR magazines which have an angled base (type 2). Photo shows an unfinished pre-production model …. production models will be anodized black.